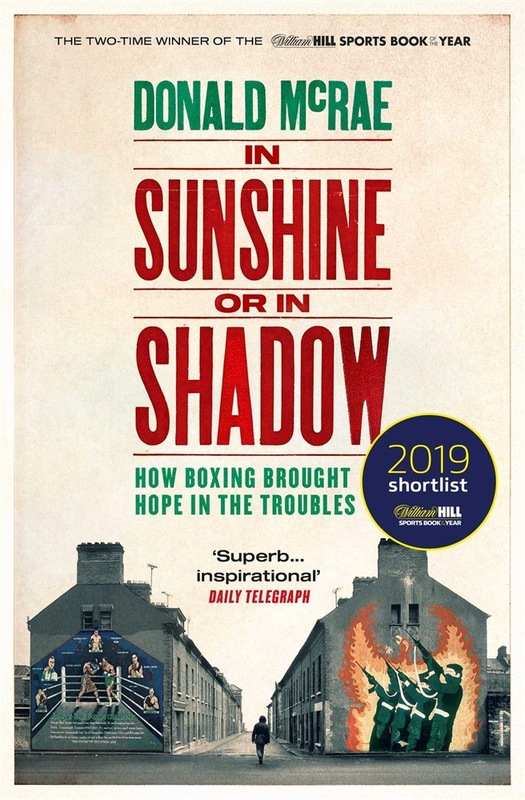 Multi-award-winning author Donald McRae's stunning new book is a powerful tale of hope and redemption across the sectarian divide in Northern Ireland - thanks to boxing. At the height of the Troubles, Gerry Storey ran the Holy Family gym from the IRA's heartland territory of New Lodge in Belfast. Despite coming from a family steeped in the Republican movement, he insisted that it would be open to all. He ensured that his boxers were given a free pass by paramilitary forces on both Republican and Loyalist sides, so they could find a way out of the province's desperate situation. In the immediate aftermath of the 1981 Hunger Strikes, Storey would also visit the Maze prison twice a week to train the inmates from each community, separately. In itself, this would be a heroic story, but Storey went further than that: he became the trainer for world champion Barry McGuigan and Olympian Hugh Russell, who became one of the most famous photographers to document the Troubles. Even with all his success and the support of both sides, Storey still found himself subjected to three bomb attacks from those who were implacably hostile to any form of reconciliation. He also worked with the Protestant boxer Davy Larmour, who fought two bloody battles in the ring against Russell, his Catholic friend. At the same time, in Derry, the British and European lightweight champion Charlie Nash fought without bitterness after his brother was killed and his father was shot on Bloody Sunday – the most infamous day of the conflict. Now, Donald McRae reveals the extraordinary tale of those troubled times. After years of research and intimate interviews with the key characters in this story, he shows us how the violent business of boxing became a haven of peace and hope for these remarkable and compassionate men. 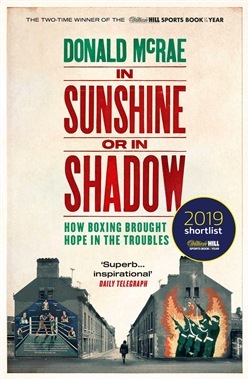 In Sunshine or in Shadow is an inspirational story of t****riumph over adversity and celebrates the reconciliation that can take place when two fighters meet each other in the ring, rather than outside it. Acquista In Sunshine or in Shadow in Epub: dopo aver letto l’ebook In Sunshine or in Shadow di Donald McRae ti invitiamo a lasciarci una Recensione qui sotto: sarà utile agli utenti che non abbiano ancora letto questo libro e che vogliano avere delle opinioni altrui. L’opinione su di un libro è molto soggettiva e per questo leggere eventuali recensioni negative non ci dovrà frenare dall’acquisto, anzi dovrà spingerci ad acquistare il libro in fretta per poter dire la nostra ed eventualmente smentire quanto commentato da altri, contribuendo ad arricchire più possibile i commenti e dare sempre più spunti di confronto al pubblico online.